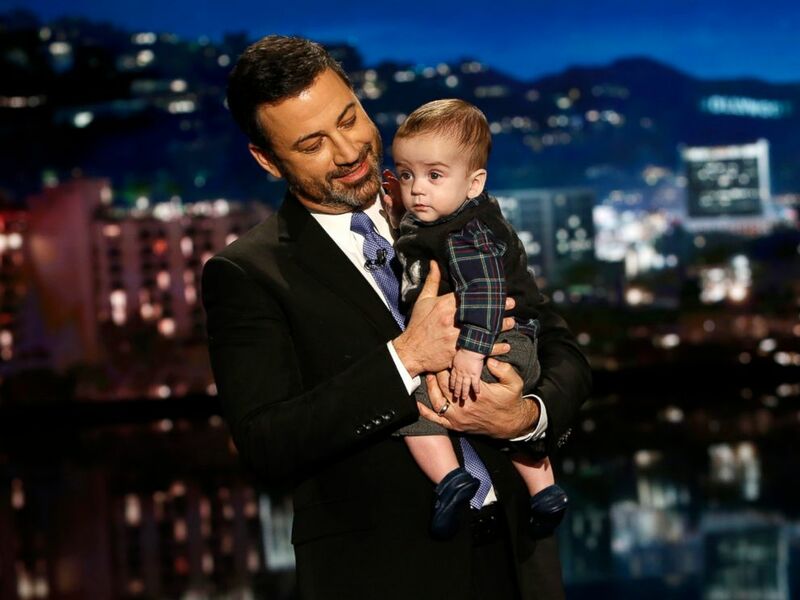 Late night funnyman Jimmy Kimmel made headlines last year when he choked up on air discussing his newborn's heart condition, thrusting his son's congenital heart defect into the national spotlight. Meanwhile, doctors on the other side of the country are testing the latest medical advancements to help all children born with the same heart condition, using treatment that's as non-invasive as possible. Kimmel revealed on "Jimmy Kimmel Live!" that his now 1-year-old son, Billy, was born with a heart defect and had to undergo emergency lifesaving surgery at just three days old. 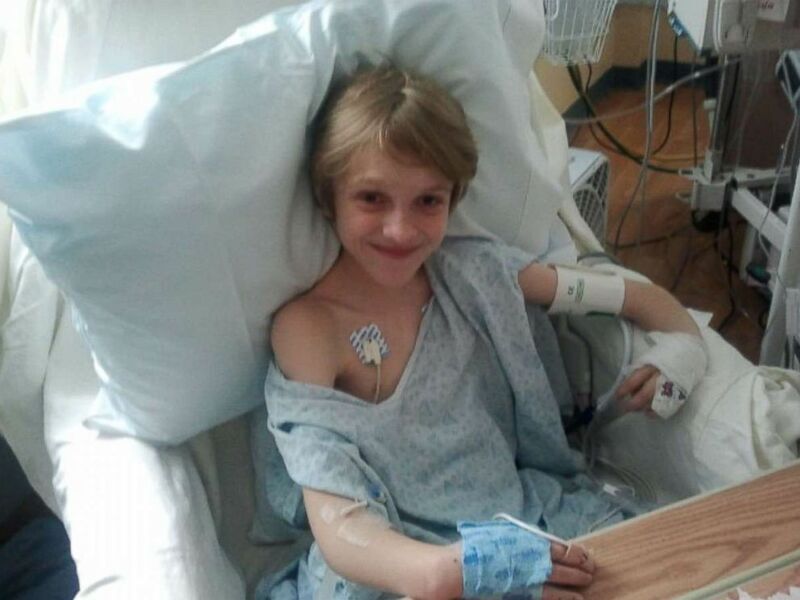 Seven months later, Billy had to undergo a second heart surgery. 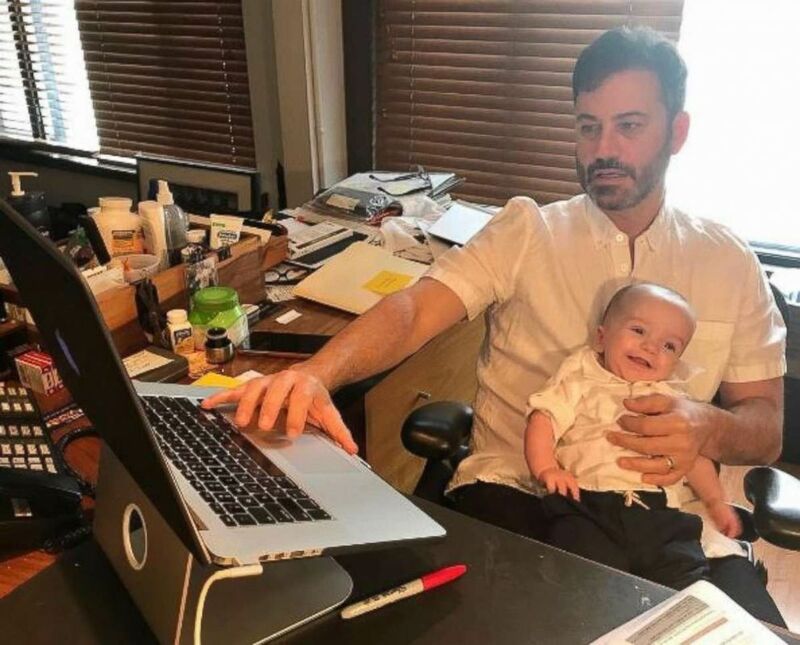 Kimmel brought Billy to work during an emotional episode of his typically lighthearted show after Billy's second heart surgery. "Daddy cries on TV, but Billy doesn't," he said, carrying his son on stage. Jimmy Kimmel posted this image to his Instagram account on Oct. 19, 2017. The comedian's candid discussion of his son's health battle thrust Billy's condition, known as tetralogy of Fallot, into the national spotlight. Kimmel's passionate monologue also called on all politicians to make sure that Americans, especially those with pre-existing conditions, have access to medical care. Mac Grieb, 17, of New Jersey was born with the same heart defect as Billy Kimmel. Mac told ABC News that he had two surgeries when he was little, and when his heart started giving him trouble again two years ago, the prospect of undergoing another open heart surgery was petrifying. "I've faced life-and-death situations," he said. "If I had to do that again, I don't know if I could." Mac Grieb, now 17, was born with the same heart defect as Jimmy Kimmel's son, Billy. Dr. Matthew Gillespie of the Children's Hospital of Philadelphia told ABC News that open heart surgery is a "long" and "very invasive" procedure. "It usually requires a week or more of recovery in the hospital," he added. Gillespie has been spearheading new medical research that helps children with heart defects like Billy Kimmel's avoid surgery by using a new "Harmony Valve," which is now in trials at a few U.S. hospitals. The so-called Harmony Valve is inserted through a catheter and slides into position on the heart, all through a small incision in the groin. We're really in the midst of what I think is one of the most important breakthroughs in congenital heart disease management. "We're really in the midst of what I think is one of the most important breakthroughs in congenital heart disease management," Gillespie said. "You are putting it in without having to go in and open up the heart and sew it in," he added. "It's all done through catheters, and it's engineered to stay in that position." Mac told ABC News that his Harmony Valve procedure was a success, and his hospital stay afterwards was the shortest it's ever been: He left the next day. "I went home, and I just chilled out like it was a regular day," the teen said. ABC News chief medical correspondent Dr. Jennifer Ashton said doctors don't always know why a baby is born with a congenital heart defect, but that they tend to run in families. There are also many different types of congenital heart defects and the level of severity varies greatly. Many of these can also be picked up on prenatal ultrasounds, though some congenital heart defects are not picked up until hours or weeks after birth, usually when the baby has a cyanotic -- turning blue due to poor oxygenation -- episode, according to Ashton. If your child has a congenital heart defect, Ashton stressed that the best treatment option for your child really depends on the severity or the type. Some babies require major open-heart surgery immediately after birth, some need staged operations and still others can have a minimally invasive procedure that treats the affected valve through a tiny incision. Jimmy Kimmel is pictured with his son Billy on "Jimmy Kimmel Live! ", Dec. 11, 2017. ABC News' Cathy Becker contributed to this report.